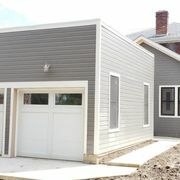 When you buy a new garage door, you are really hiring a garage door installation company. You will rely on that company for everything from advice on brands, insulation, material, features to an expert installation and may use them for years to come. You should be able to trust your garage door company with keeping you and your family safe and keeping your garage door working perfectly all year long. Let the experts at Precision Door show you why we are the best in the business, with our fast quality service, commercial grade parts, and friendly technicians you can trust. 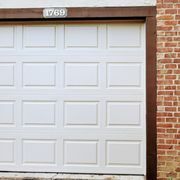 Spring Issues - Unless it is due to an obstruction of some type, uneven movement of your garage door is likely caused by a problem with the spring mechanism. Roll-up doors generally have one center-mounted torsion spring. The tension on torsion springs is great. Therefore, it is necessary to call a professional for any repairs to this type of spring mechanism to avoid serious injury. Because replacement of these springs or cables in a garage door can take at least two or three hours of labor, costs can average $300 or more.